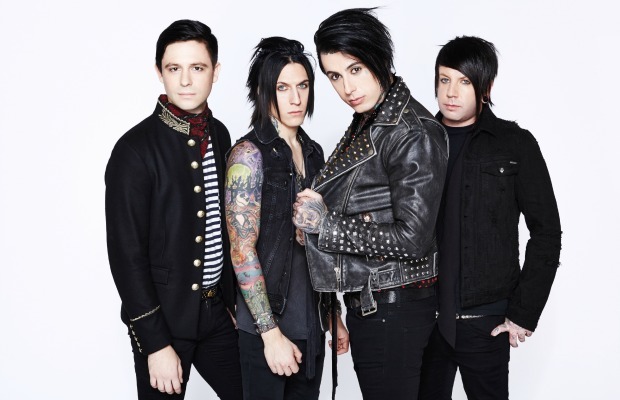 Guitarist Jacky Vincent has announced his departure from Falling In Reverse. Falling in Reverse singer Ronnie Radke and Jacky Vincent released a statement exclusively to Alternative Press. You can read an excerpt below. Ronnie Radke said: "I remember the first time I met Jacky, I walked out of prison and he was waiting there so stoked. Hands down one of the greatest guitar players to ever live. And one of the most genuine people I’ve ever met. I wish him nothing but the best. Love you Jacky." Jacky Vincent said: "I can’t thank Ronnie, Derek and Ryan enough for the last 5 years. I will most likely never laugh as hard again in my life. I feel proud to have played with such brilliant musicians and I will miss touring with them enormously. I am forever grateful to have experienced what I did in Falling in Reverse and I feel very fortunate to have lived what I dreamt of doing for so many years. To the fans, I loved meeting you all. I kept as many as your gifts and letters as I could and they all mean so much. Thank you for everything."